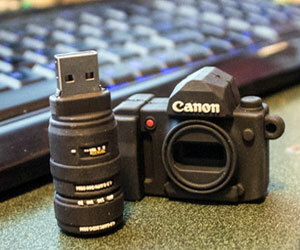 This camera shape USB pen drive looks so cute. In-spite of small size, it displays awesome details mimicking a Canon DSLR camera shape. It even has accurate Canon logo.